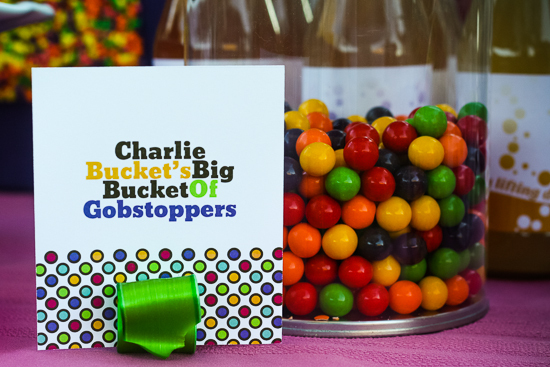 The fabulous 2012 year ended with a Willy Wonka birthday party for my little dynamic duo that rivals last year’s Charlie Brown Christmas birthday party. 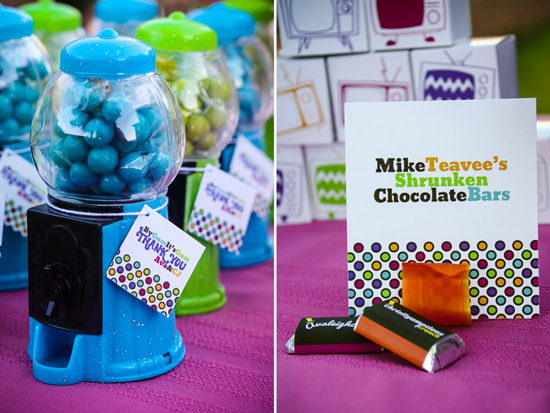 One month before the party, I staged a themed photo shoot to use in their invitations, day-of accent photos, gifts for the family, etc. 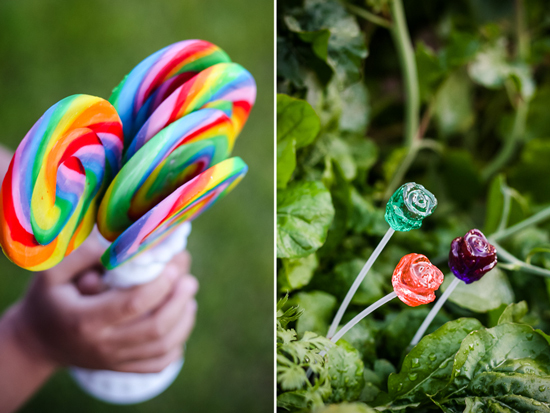 Two big lollipops from the dollar store were all that was needed for this shoot. 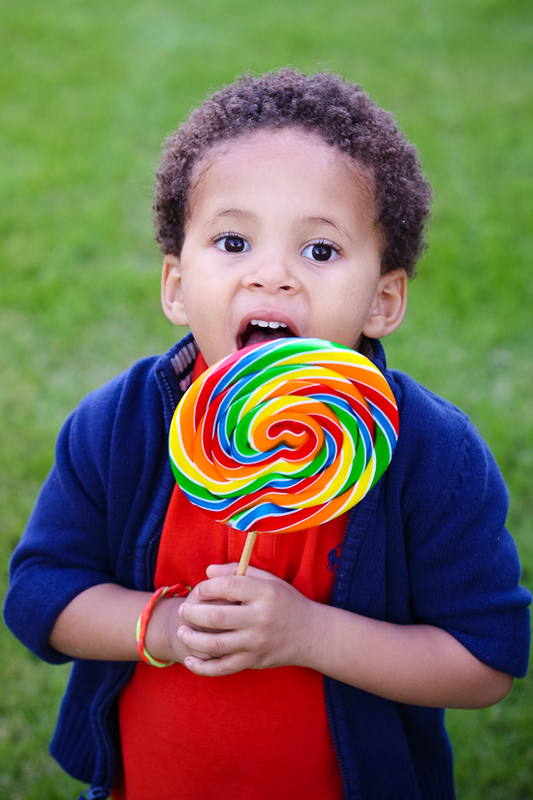 While this sounds easy enough, I found that asking your children to smile and hold up a big piece of rainbow swirled sugar on a stick without actually licking it is considered torture in most states. 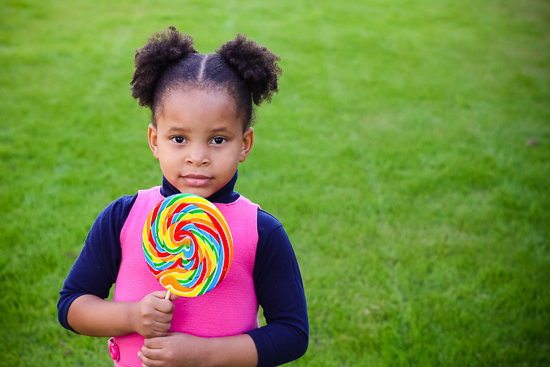 Not to mention my naturally athletic daughter kept trying to use hers as a tennis racket. 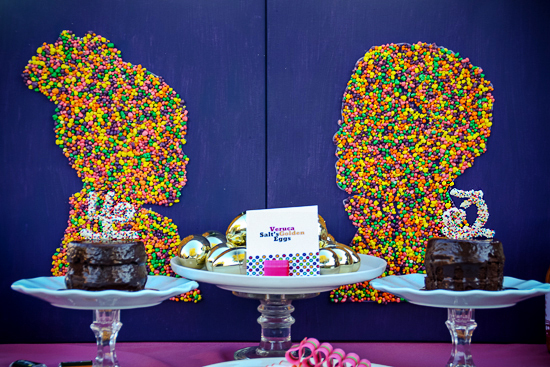 This fantastic Wonka Party was all about the birthday boy and girl. 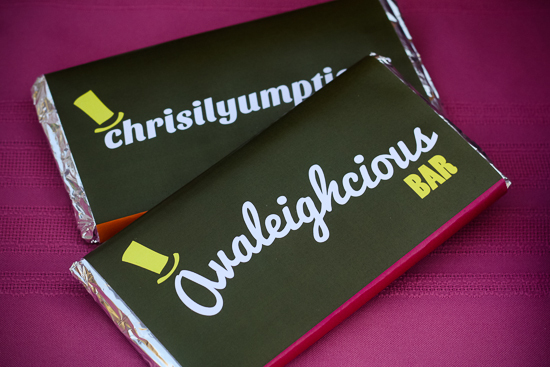 So instead of Wonka bars, I created custom logos and bars for the two of them. The bigger the bar the bigger the smile. 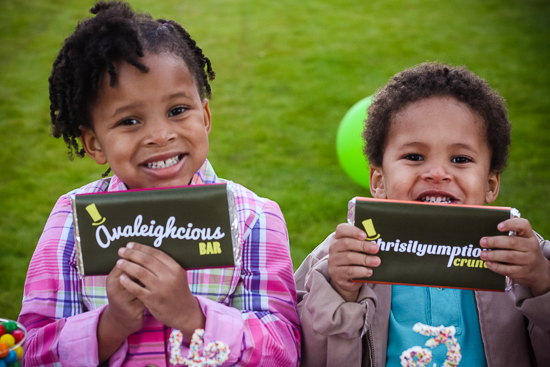 The rest of the guests were treated to smaller, diet and budget friendly bars. 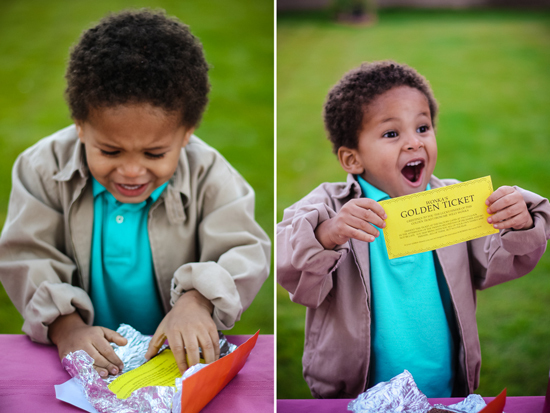 My favorite part of the party was seeing how excited my little man was to open his candy bar and find a golden ticket inside. 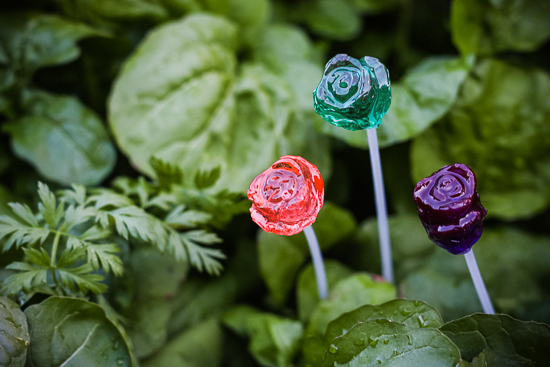 My husband (Mr. Teal Bird) made his own contribution to the party by adding candy roses to our vegetable garden. He is so clever when he wants to be. 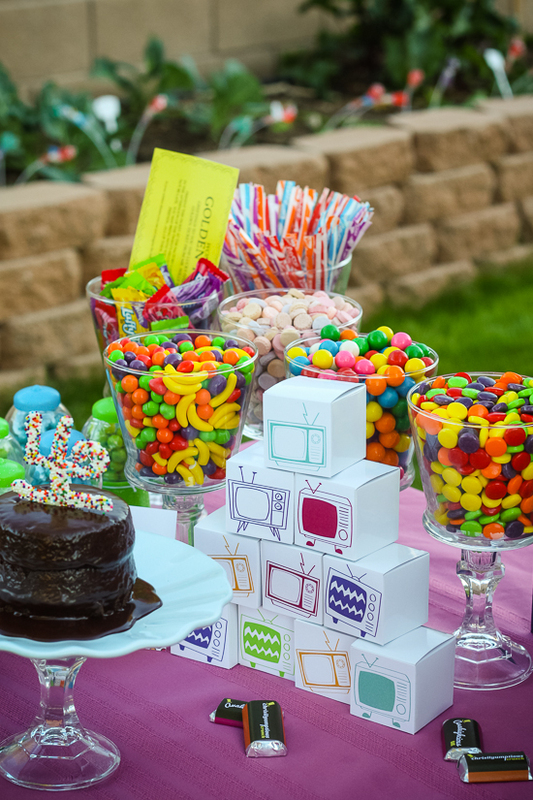 It wouldn’t be a Wonka Party without all of the Wonka brand candies; Runts, Nerds, Laffy Taffy, Fun Dip, Bottle Caps, Sprees, SweetTarts, Pixy Stix, and Gobstoppers. 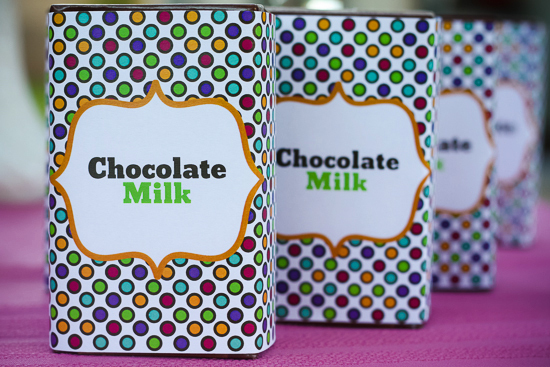 I found that on a per pound basis, for most of these items, the dollar store was cheaper than many online bulk candy stores. I love the scene in the movie where they shrink the large Wonka Bar and grab it from the TV screen. 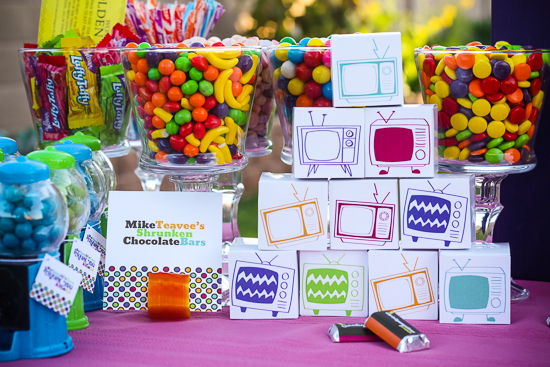 Each TV favor box contained miniature chocolate bars with custom wrappers just like the big bars. 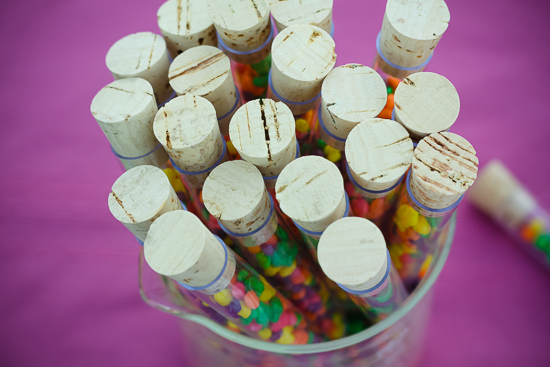 In honor of the Invention Room, I placed Nerds candy in plastic test tubes. 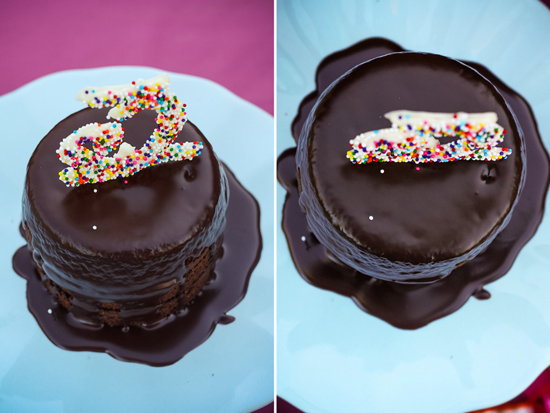 To further personalize the space, I created silhouettes of the birthday boy and girl…in Nerds, of course. 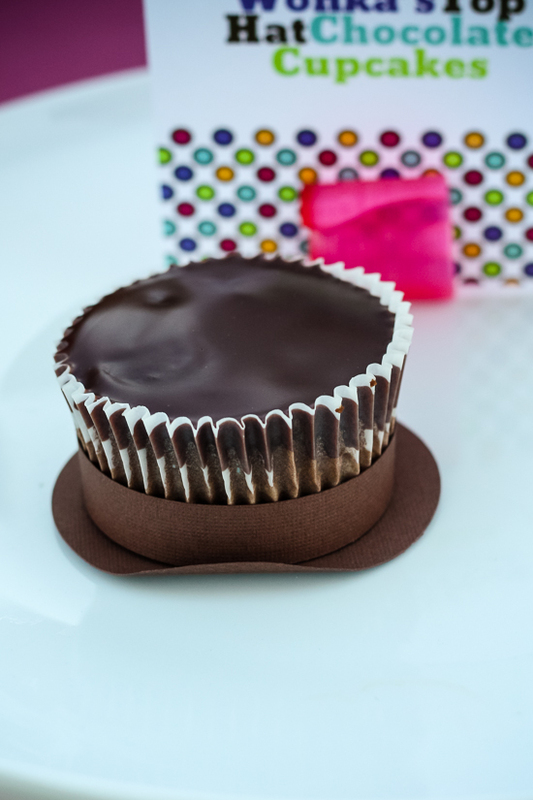 Wonka’s top hat chocolate cupcakes were easily achieved with a little brown card stock. 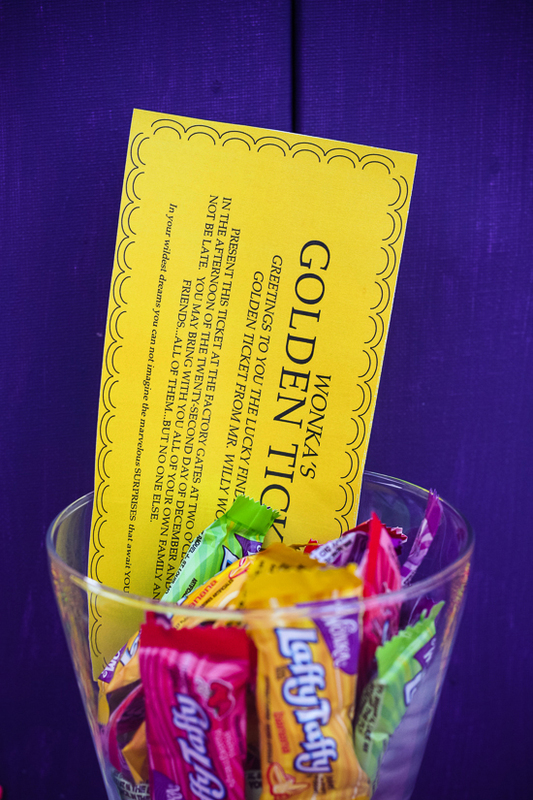 Various Wonka Quotes were placed throughout the space and also served as flat notecard favors (blank on the back, with an envelope included). 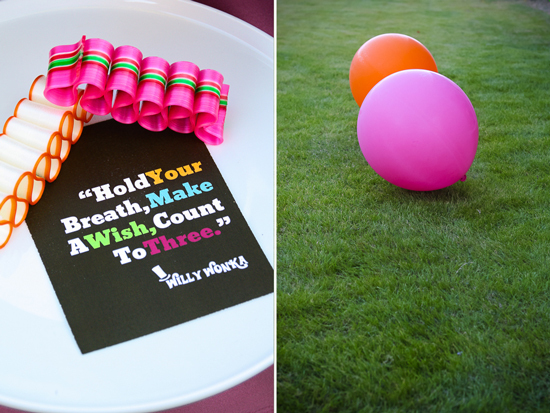 ”Hold Your Breath, Make A Wish, Count To Three” was a perfect little quote standing by the birthday cakes. 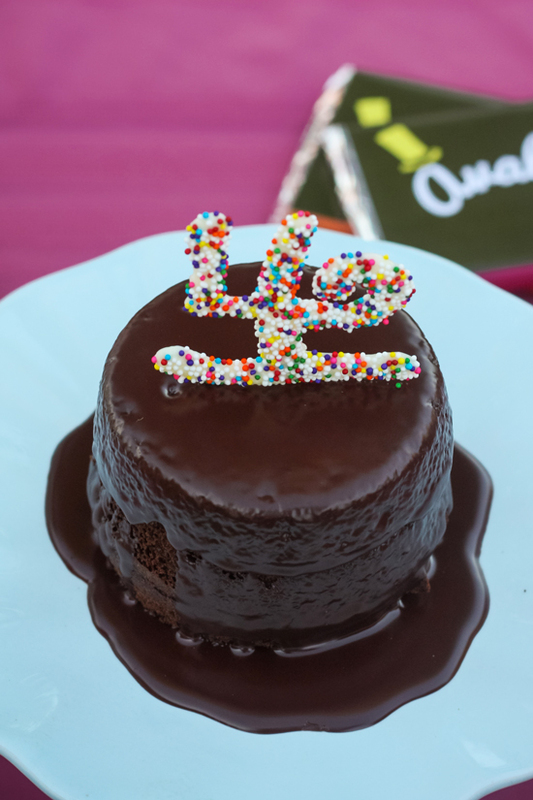 I thought that these dripping homemade chocolate ganache mini cakes, with edible number toppers were perfect for the chocolate factory theme. 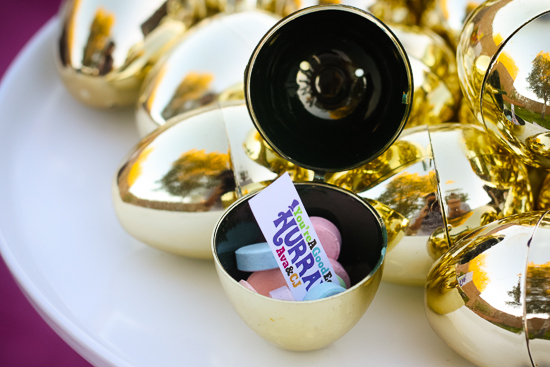 Inspired by Wonka’s 3-course dinner gum, we served creamy tomato soup, roast beef sliders and roasted potatoes, and blueberry oatmeal bars for dessert. Since my daughter always covers her eyes during the part where Violet turns into a blueberry, we made sure of it that nobody suffered the same fate. 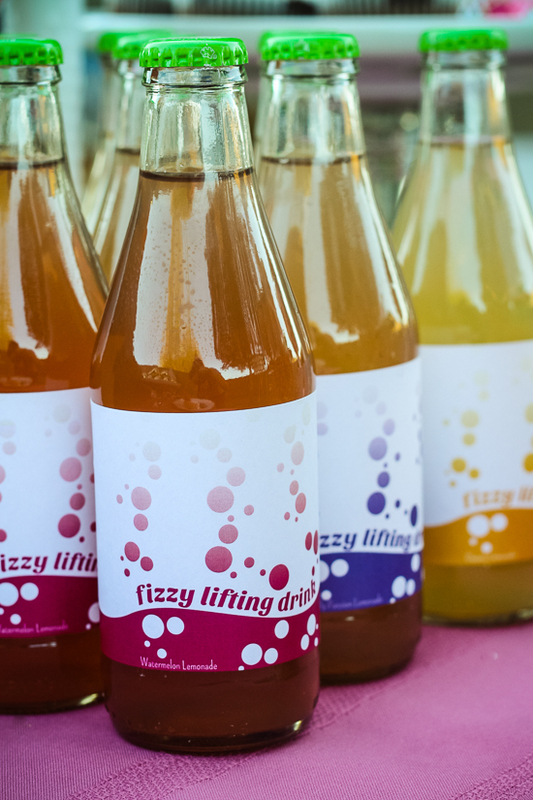 And for refreshments, chocolate milk (with custom milk box wrappers) and fizzy lifting drinks. 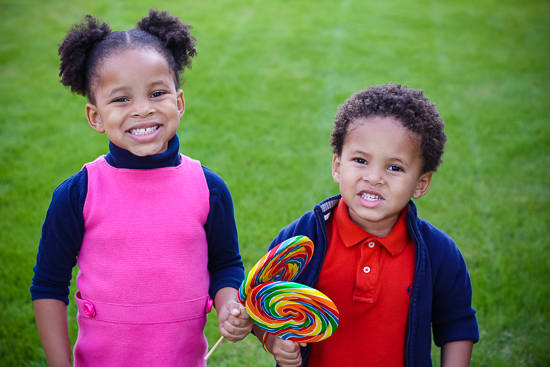 In between all of the candy grabbing, these two had the opportunity to collect items for Packages From Home, an organization with the mission of sending “care and comfort packages to deployed American military heroes who are stationed in active duty theaters around the world, as well as to facilitate activities that elevate morale of all veterans.” As usual, next year’s party is already in the works.